Class-action attorneys often use the Fair Debt Collection Practices Act (FDCPA) as a tool to turn minor, technical violations into substantial settlements. Chief among these tools are omissions of the “Notice of Debt” requirements—statements so ubiquitous that they’ve been nicknamed “Mini-Miranda” notices. Under the FDCPA, a debt collector’s initial communication must provide a debtor with specific notices. These notices include the amount of the debt and the name of the creditor, as well as statements about the debtor’s rights to dispute or receive information about the debt. Failure to adequately convey these “Mini-Miranda” notices subjects the debt collector to statutory penalties, including monetary penalties up to $1,000 per offending notice. 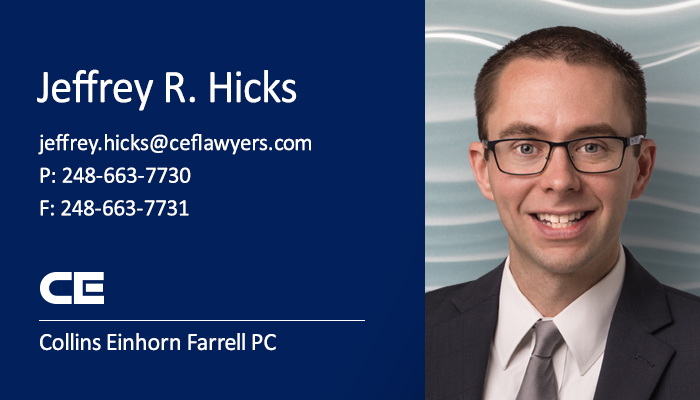 In 2018, the Sixth Circuit dealt the strict-liability nature of the “Mini-Miranda” requirements a blow in Hagy v. Demers & Adams, which involved an initial communication memorializing an agreement brokered over the phone. The debt collector (a lawyer) agreed not to collect a mortgage deficiency if the debtor signed a deed in lieu of foreclosure. But the communication lacked the “Mini-Miranda” notices. The debtor filed an action alleging an FDCPA violation. The Sixth Circuit ruled that, because the debtor didn’t suffer any actual harm beyond a bare procedural violation, the debtor likewise didn’t suffer any concrete injury to convey Article III standing. Hagy appears to offer an additional defense to “Mini-Miranda” violation cases where no actual harm exists. But this defense may be short-lived. The Sixth Circuit’s recent opinion in Macy v. GC Services Ltd Partnership distinguished Hagy and allowed a class action based on a “Mini-Miranda” violation to survive a motion to dismiss without a showing of actual harm. In Macy, the debt collector’s initial communication didn’t specifically state that the debtor must dispute the debt in writing. Because an oral dispute doesn’t trigger a debt collector’s obligation to provide additional information, the Court found that the absence of notice that a dispute must be in writing created a material risk of harm sufficient to create a concrete injury for purposes of Article III standing. Under Macy, class-action attorneys can survive a motion to dismiss and proceed with discovery so long as they allege a material risk of harm in the complaint. Macy found that the risk of harm was material because the alleged violation could result in the waiver of the debtor’s rights. But Macy doesn’t foreclose the defense offered by Hagy entirely. The Sixth Circuit didn’t weigh in on how it would decide a motion for summary judgment if discovery yielded no evidence of actual harm. Other technical “Mini-Miranda” violations that don’t waive a debtor’s rights may not create a material risk of harm. Regardless, debt collectors and lawyers should ensure that their initial communications fully comply with the Mini-Miranda notices to protect themselves against similar suits.